The Enterprise is a two-man sloop-rigged hiking sailing dinghy with distinctive blue sails. Despite being one of the older classes of dinghies, it remains popular in the United Kingdom and about a dozen other countries, and is used for both cruising and racing. It has a combination of size, weight, and power which appeals to all ages, and to sailing schools. The Enterprise is accredited as an International Class by the International Sailing Federation, the ISAF. The Enterprise is most often sailed with no spinnaker. However the international class rules allow the decision of whether to allow spinnakers to be made by the national authority. 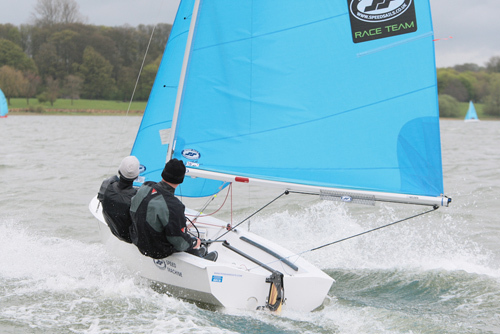 In the U.K. and Canada, no spinnakers were allowed until 2002 when a new PY handicap was introduced in the UK to allow spinnakers to be used in multi class racing in clubs, although spinnakers may still not be used in "Class" racing; in the United States they are allowed.